The SAG Foundation, SAG Motion Picture Players Welfare Fund, and the AFTRA Foundation have come together to provide immediate support to active SAG-AFTRA members affected by Superstorm Sandy. Each has made a significant contribution to this fund; and with additional donations from members, a much greater impact can be made, and more members served. Make your year-end tax-deductible donation today to support these efforts by visiting www.sagfoundation.org. All grants for the relief fund are being administered to members through The Actors Fund by a confidential and streamlined application process. SAG-AFTRA members can apply for assistance by calling (212) 221-7300 ext. 119, or by email at intakeny@actorsfund.org. If you need help… ask. If you can help… give. We’re all in this together. I’m thrilled to pass this plea for assistance along. I hope it helps my brethren in need. 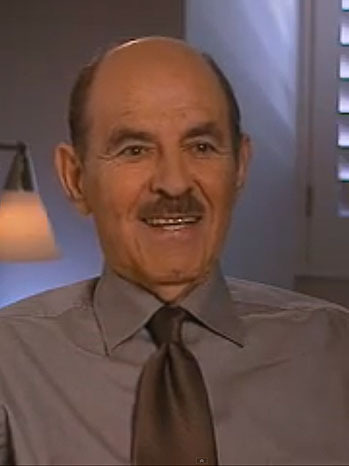 Henry Colman was a television executive and producer, whose production credits include The Beverly Hillbillies, Green Acres, Peyton Place, The Many Lives of Dobie Gillis, Dr. Kildare, Hawaii 5-0, The Odd Couple, Mannix, Love American Style, Hotel, and notably, The Love Boat. In the 1950s, he started as an assistant to the director for Kraft Television Theatre, and later worked on Robert Montgomery Presents and the Colgate Comedy Hour. His early success led to his becoming an executive producer with CBS Television. In 1970, Henry was promoted to vice president of television programs at Paramount Studios. This entry was posted on Sunday, November 11th, 2012 at 2:31 am	and is filed under Blog by Manny Pacheco. You can follow any comments to this post through the RSS 2.0 feed. Responses are currently closed, but you can trackback from your own site.